We know you’ve been wondering. Cellulose is made of paper (think wood pulp). Once that paper has been used, it can be recycled to make cellulose insulation. 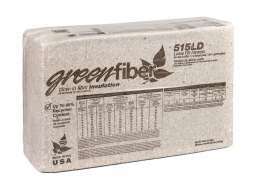 If you’ve ever wondered what becomes of recycled newspapers, think of Greenfiber. 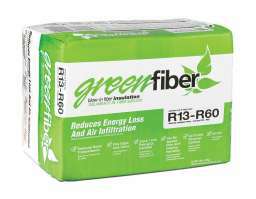 Greenfiber insulation consists of up to 85% recycled paper fiber and has some very important advantages. Cellulose is denser and has better resistance to airflow than fiberglass, so it works more efficiently as insulation. It doesn't itch, which makes installation a lot more pleasant. Because of its density, cellulose provides superior noise suppression. Cellulose has improved in quality and sophistication over time, and it now provides exceptional resistance to fire, moisture, mold and vermin. What other insulation can claim these benefits and also provide the superior thermal and sound insulation that comes naturally to cellulose? 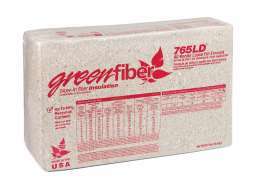 By using recycled materials from local sources, low-energy manufacturing and short-haul transportation, Greenfiber gives you an environmentally responsible choice with our cellulose insulation. You won’t get this from other types of insulation. The density of our cellulose — and the fact that it can fill every gap and void — helps reduce noise from outside. 57% better at resisting fire.² . Our density and the fact that Greenfiber is treated with fire-retardant additives also provides fire protection for your home, giving you more, critical seconds to escape. 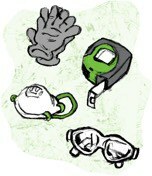 We’ve got just what you need. With the same formula as INS541LD, this 30 lb. bag is perfect for contractors.